You will not be surprised to hear that other Apple users have locked screen and forgotten the passcode. Like Johansson, you may also have a need to factory reset iPod touch without passcode/password or even without iTunes or iCloud. How to put this thought into practice? You should concentrate on the content we show below. The thing can be simplified if you have a trusted computer. That is to say, you can effortlessly enough get your iPod touch connected as long as it has been synced to iTunes before. Step 3: Continue to have a click on the "Restore" option to make further confirmation and let iTunes begins to restore iPod touch for you. Likely, you didn't sync your iPod to iTunes and trust a computer in the previous time. In the circumstances, you can adopt another way to restore iPhone in Recovery Mode rather than directly in iTunes. Here's how. Step 6: Keep iPod connected in the whole process and follow the prompts to finish restoring iPod at every step. 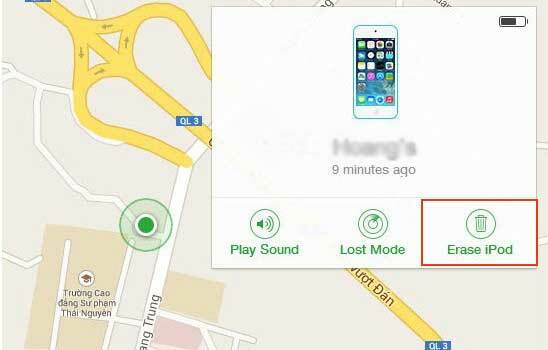 Have you turned "Find My iPhone" option on before locking your iPod touch? 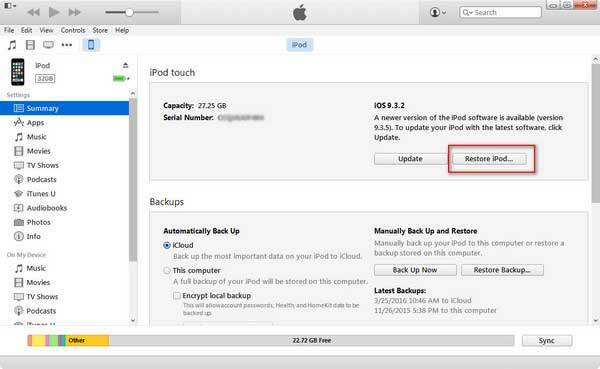 If the answer is "Yes", you can give a try to the following approach, which enables you to restore iPod on iCloud. Step 4: Now press on "Erase iPod" option to start to factory reset iPod. 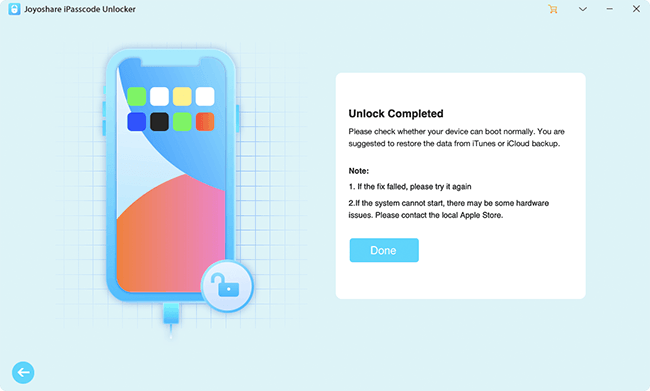 You will be assured to effectively and professionally factory reset your iPod touch without password or iTunes by using one dedicated iOS passcode removal software, Joyoshare iPasscode Unlocker. It is applicable to all models of iPod touch, iPhone and iPad without problem. 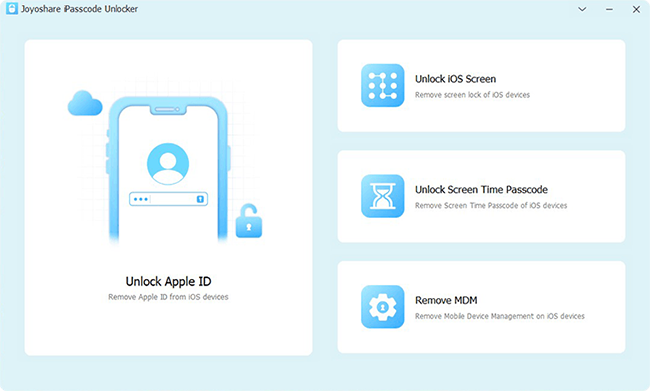 All that matters is that this magic passcode unlocker can be compatible with the latest iOS 12 and be used to various different scenarios. No matter your iPod touch is disabled due to multiple wrong password attempts or locked by others, Joyoshare iPasscode Unlocker can come to rescue. Aside from the basic and common 4-digit and 6-digit passwords, it also powerfully supports Touch ID and Face ID. Download, install and launch Joyoshare iPasscode Unlocker on either Windows or Mac. Plug your iPod touch to the computer and simply click on the "Start" button after device recognition. 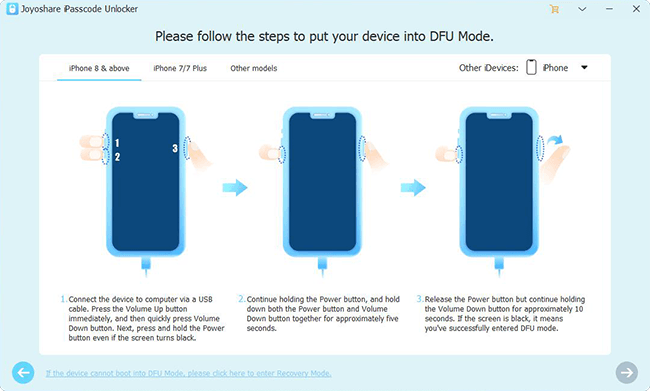 Follow the onscreen steps to boot your iPod touch into DFU Mode or Recovery Mode. After you have done it successfully, the "Next" button will turn blue. Then you can tap on it to proceed. This program will ask you to check and confirm your device info. Do it carefully and make correction if necessary. 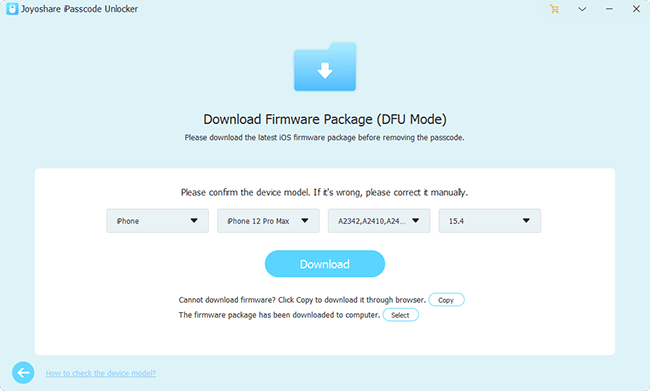 After that, go to press the "Download" button to download and verify the firmware package. Once the downloading and verification process end, you can go on to click on the "Unlock" button. By doing it, Joyoshare program will start to unzip the firmware and factory reset your iPod touch in a trustworthy and efficient manner.